Workplace drug testing ensures that the office environment remains safe and healthy. The threat of drug-related incidents would be lessened or even non-existent, if all employees are found clean. Without drug testing at work, there is no way for an employer to positively identify workers who pose a risk to everyone in the workplace with their drug use or abuse. 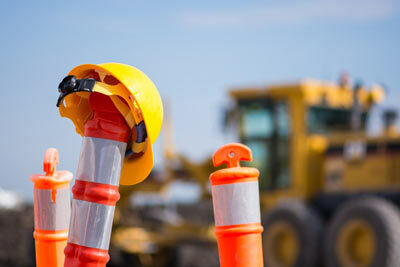 In high-risk jobs, it is important that all workers handling hazardous chemicals, operating heavy machinery, or driving vehicles for the company, are in their right state of mind to avoid any freak accidents. Workplace drug testing will ensure that he or she doesn’t work while under the influence, protecting the employee and other staff from potential accidents. Persistent drug use may affect the quality of work by an employee. He or she may come in late or produce low quality outputs, because of drug intoxication. In this case, the costs of a drug test may save the company money later on, when it does not have to re-hire or compensate an injured employee. Having drug users in the workplace poses a lot of risks for employers. For example, an accident occurred in the office caused by a drug-using employee and one or two other staff members were injured because of it. Employers could face legal liability because they failed to maintain a safe and drug-free working environment for all. Drug tests is the best way for business owners to positively identify workers who pose a risk to everyone in the workplace with their drug use or abuse. By having a workplace drug testing program, it shows that companies are making an effort at keeping a safe working environment for everyone. Beyond individual safety and legal protection, think of the company’s public image in case of a drug-related accident. The consequences can potentially be fatal for a business. Imagine the headlines about a fatal accident at your company, triggered by an employee that was high on drugs while on the job. That does not paint the picture of a company that clients will entrust future business to. When staff know that their safety is taken very seriously by their employer it will only raise morale levels. Employees who feel valued tend to be more motivated and committed. 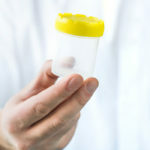 A mandatory workplace drug testing is not only beneficial for business owner but for the drug-using employees as well. A drug test is not meant to humiliate staff, but assist them in getting the proper help that they need. There are companies that do not terminate employees who fail drug tests and will instead give them the option of going to a rehabilitation facility to retain their job. 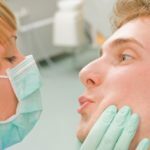 In several instances, they are recommended to an outpatient facility, so that they can continue to work while receiving treatment for their drug related issue. It depends on the method to be used, but most drug tests cost up to $40 per person. It could go higher if the company decides to also put in a pre-employment drug testing. This will affect the company’s bottom line, which discourages most business employers from implementing a workplace drug testing. Some employees are against workplace drug testing because they feel it violates their personal space and their rights to their own free time. Staff member could feel insulted with the thought of a drug test because for them it means their employers do not trust them. In cases of random drug testing, the employees picked for the test might feel singled out and can make them resentful. Often, staff members who are found to be positive for drug use get fired right away. It is possible that some of them will decide to sue the company for unfair dismissal. These lawsuits tend to be costly and time-consuming. Business owners should consult with their legal department before they decide to conduct drug testing procedures. 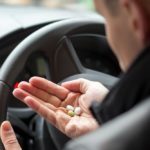 A sound drug policy that is demonstrably known to your employees is key to avoid major legal issues. In the end, the pros clearly outweigh the cons when it comes to workplace drug testing. A drug-free work environment remains a key ingredient in ensuring the health and safety of all employees. It encourages an atmosphere of camaraderie and empowerment, where each worker feels that his or her well-being is deemed important and is being looked-after by a company they can trust. To implement a drug safe program at your workplace that will not antagonise your employees, contact us today.